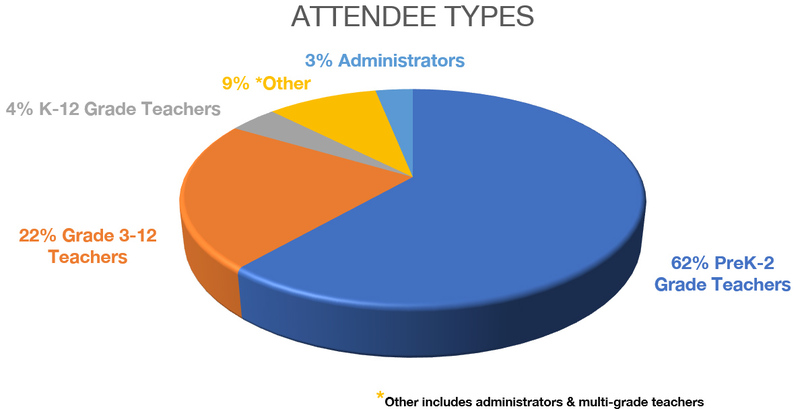 Invest in a booth, and you'll have traffic, leads, and visibility with multiple educator market segments at one event. It's smart, efficient, and strategic sales and marketing outreach to meet your 2019 business goals. There are two ways to participate: 1. Reserve a booth, or 2. Reserve a booth with the ability to present a customized exhibitor session. Increase company and product visibility with 5,000+ passionate PreK-12 educators at the SDE National Conference, July 8-11, at the Venetian Hotel. Show off your portfolio of products and services to thousands of buyers. All in once place, at one time. 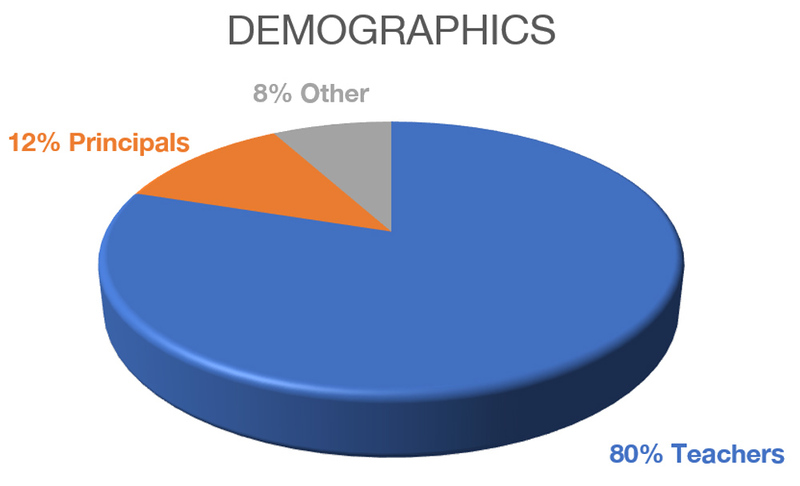 Attendees are a highly-targeted audience who recommends and influences purchasing at the classroom, school-wide and district levels across all areas of curriculum. "We love connecting with teachers during the SDE Conference. It's an excellent opportunity to have meaningful conversations about what matters most to them; the better we understand what teachers need, the stronger position we are in to serve them well. Candidly, we love working with SDE presenters, too, because it helps our company share with teachers how our products support some of the best-practice educational approaches for teaching guided reading and paired reading. We will be back!" 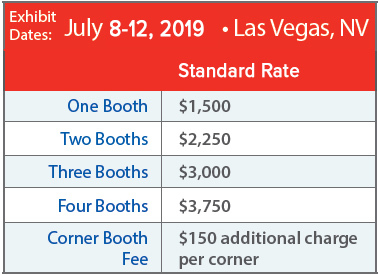 Each standard exhibit includes 10' x 10' draped booth, one six-foot table, two chairs, 44" x 7" identification sign, one wastebasket, and 4 staff registrations. Sunday, July 7 10:00 a.m.-6:00 p.m.
Monday, July 8 7:00 a.m.-3:00 p.m.
Tuesday, July 9 7:00 a.m.-5:00 p.m.
Wednesday, July 10 7:00 a.m.-5:00 p.m.
Thursday, July 11 7:00 a.m.-5:00 p.m.
Thursday, July 11 5:00 p.m.-9:00 p.m.
Friday, July 12 7:00 a.m.-12:00 p.m.